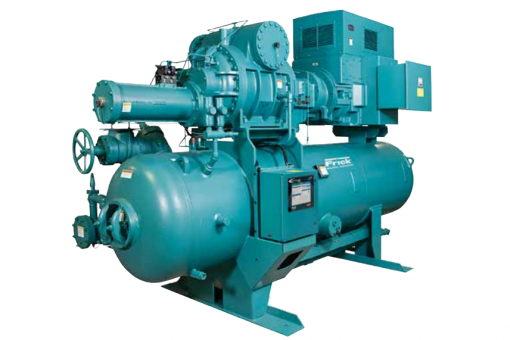 How to choose an industrial air compressor? What size of compressor should you use? What type of compressor should you choose? 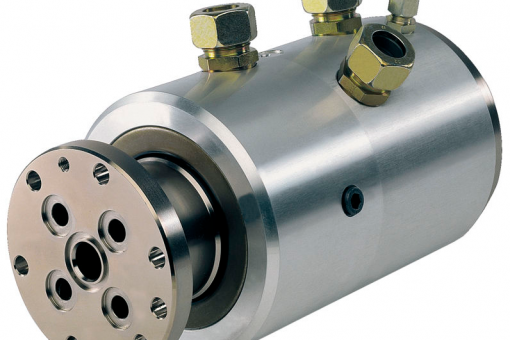 When should you use an oil-free compressor? What are the main power sources for air compressors? How much does an air compressor cost? A compressor is a mechanical device that increases the pressure of a gas by reducing its volume. 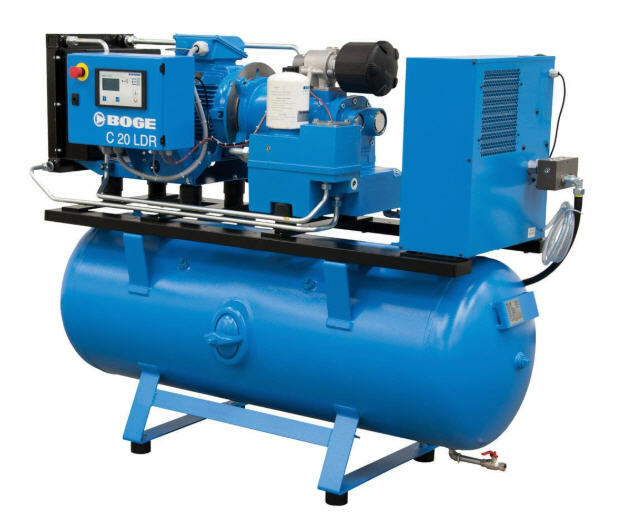 An air compressor is a specific type of gas compressor. There are two types of compressors: positive displacement compressors and centrifugal compressors (also called dynamic compressors). 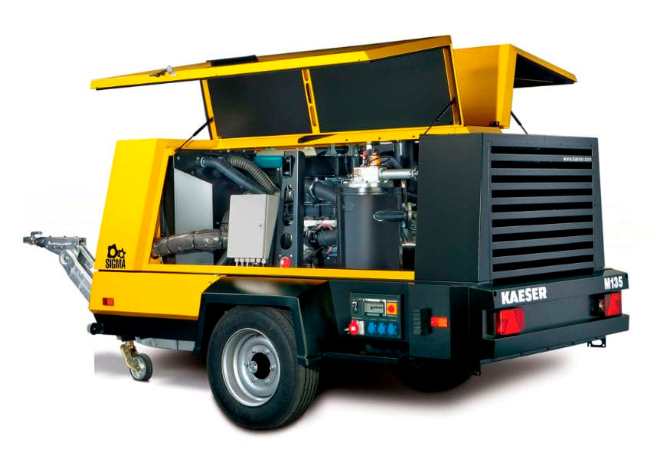 Air compressors are used in all manufacturing processes and industrial applications requiring compressed air. In order to choose the right air compressor, you must first determine the frequency of use according to the compressed air requirement of your application. You will also need to know if the compressor should be transportable, or if it will be installed in one place. If this is the case, you will need to ensure that the compressor is well ventilated to ensure optimal cooling. Another important element to consider is the continuous operating time of your compressor. Manufacturers generally indicate a duty ratio for their products. This duty ratio determines how long the compressor will be able to operate in an hour. A compressor with a duty cycle of 30% can only operate for 18 minutes and must cool for 42 minutes. If you choose such a compressor, you must ensure that the 18 minutes of operation will be sufficient to fill the air tank to the pressure appropriate for your use for one hour. Air compressors allow the use of different portable pneumatic tools: hammers, nail guns, air screwdrivers, breakers, air blow guns, paint sprayers, sandblasters, etc. The use of pneumatic tools on production lines. Ejection of parts from production molds. Blowing for the shaping of bottles or carboys. Sandblasting for finishing metal parts. Before determining the size of your compressor, you must first know the maximum pressure you will need to supply your pneumatic tools or circuit. It can be indicated in pounds per square inch (psi), in bars or in pascals (Pa). Depending on the pressure, you may need a single stage compressor (135 psi or 9 bar maximum) or a multi-stage compressor that will significantly increase the pressure (5,800 psi or 400 bar maximum). You will also need to know the maximum flow you will need. The flow rate represents the amount of air available to supply the various devices that must be connected together on the compressor. It can be indicated in cubic feet per minute (cfm), in liters per second (l/s) or in cubic meters per hour (m3/h). 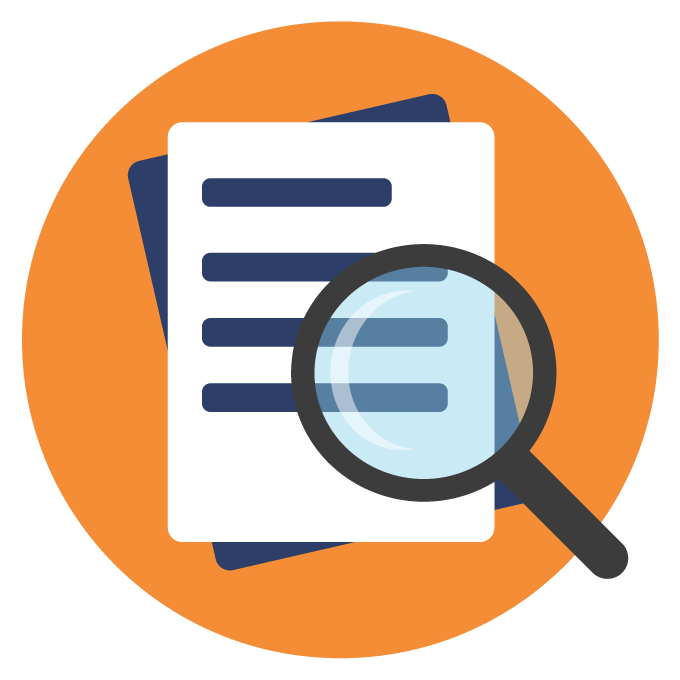 It is better to provide a safety margin of around 30% of the requirements you have estimated in order to avoid unpleasant surprises without oversizing the compressor. The strength of the compressor depends on the desired airflow and the output pressure. When a compressor is presented with a high rated power, but a low flow rate, it is intended for occasional use and its cooling requires long pauses. Compressors generally include a compressed air tank, which allows you to regulate starting the engine according to the compressed air that you need. You must calibrate this tank properly so that the engine is not constantly running. Some compressors come with a vertical tank, which reduces the space they take up when they have to be installed in confined areas. There are two types of compressors: positive displacement and centrifugal compressors (also called dynamic compressors). Piston compressors. They can be single-cylinder. This type of compressor can have a pressure of up to 10 bars. They can also be multi-stage to increase the pressure in steps and go up to 400 bars. Piston compressors are generally the most affordable. You can choose this type of compressor if you are looking for intermittent operation: the duty cycle is at most 60%, which means it can only operate for 35 minutes per hour. The compressed air supply must be sufficient in relation to the estimated flow rate so that the compressor does not need to operate more often than this. Another potential disadvantage of this type of compressor is that it releases oil with the compressed air. If you require clean air, you will need a filtration system or to choose an oil-free compressor (for example for the electronics, pharmaceutical and food industries or for clean rooms). Piston compressors are also relatively noisy, which can cause discomfort to people working nearby. Screw compressors. This is the most common industrial model. It uses helical screws instead of a piston. The pressure obtained can vary from 5 bars for a single-cylinder model to 13 bars for a multi-stage model. This type of compressor generally offers significant flow and a high compression ratio with a single stage, allowing manufacturers to offer compressors with reduced dimensions compared to similar piston compressors (which need to be multi-stage to offer the same level of pressure). A screw compressor can have a duty ratio of 100% which means it can operate continuously. Some screw compressors have variable speed. They can adapt their rotation speed to the compressed air requirements to optimize their energy needs. Rotary vane compressors. Vanes are plates that slide in an eccentric rotor, causing air compression. The energy efficiency of these compressors is generally quite good. These compressors are quite compact compared to compressors using other technology. 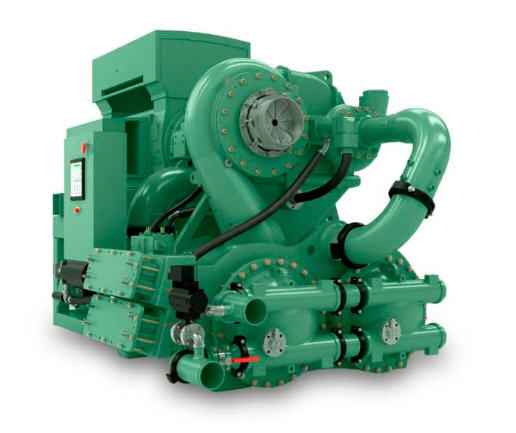 For similar pressure and flow rates, these compressors have a lower rotational speed than screw compressors, which reduces the wear and tear on parts as well as maintenance requirements. This allows the compressor to last longer. These compressors are used in various fields such as printing, woodworking or packaging. In industries that need to use clean air, such as the energy or medical sector, many models are available without oil. The second type of compressors are centrifugal compressors (also known as dynamic compressors). With these compressors, air is drawn through the machine by the rotation of a radial impeller. This is the same principle as turbochargers used in the automotive industry. 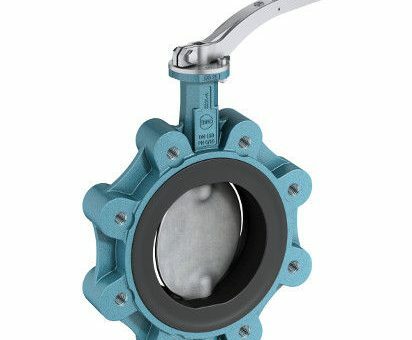 They are generally used when a high flow rate with high pressure is required on a continuous basis. This is particularly the case in industries related to energy production and in the chemical industry. These compressors are usually equipped with an integrated reducer to allow the engine to operate at an optimal speed. These compressors can offer flow up to 500,000 m3/h for a pressure of 200 bars. Stationary compressors. These machines are not designed to be moved. They are generally very powerful and offer a high flow rate and high pressure. 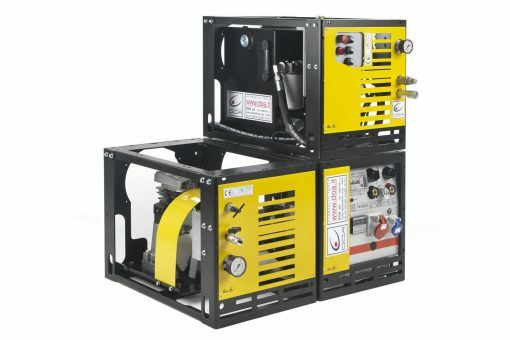 Transportable compressors or semi-stationary compressors. They usually have similar characteristics to stationary monobloc compressors, but can be moved to different areas (for example construction sites). Their base is generally designed for the passage of pallet truck forks. These compressors are generally equipped with a combustion engine. Portable compressors. They are not normally intended for intensive use, but have the advantage of being very easy to move. There are some oil-free compressors which means they can provide clean air at the outlet. These compressors are more environmentally friendly (as they pollute less). They are generally used in the electronics industry, including semiconductor manufacturing, as well as in the pharmaceutical, chemical, medical, automotive assembly or finishing and food processing industries. If you need an oil-free compressor, make sure that is ISO 8573-1 Class O as this is the only classification that guaranties the complete absence of oil. Higher classes determine the maximum quantity of oil in the compressed air, which usually requires equipping them with an air dryer. These compressors, which do not offer very high pressures, are generally not designed for intensive use. For a piston compressor, lubrication can be replaced by a Teflon or silicone coating that protects the moving parts. It can also be replaced by injected water or a closed-loop water system. These compressors are generally noisier, but require less maintenance. The most affordable compressors are electrically powered, but these are also the least powerful, especially if they are single-phase. There are also compressors with combustion engines (diesel engines or gasoline engines). Compressors with combustion engines are generally intended for exterior use due to their exhaust emissions. The prices indicated below are intended for the general public. The least expensive compressors do not include an air tank.